As the proud owner of size 14US feet I have struggled most of my life to find shoes that will fit me. Over the past 2.5 years I have been working my way through the available trail runners on the market and in that time, I have purchased over ten pairs of shoes. I have also tried on a number of others but ruled them out before making a purchase due to comfort. This may sound a bit excessive but given that in an average week I walk a minimum of 75km+, with most of that in hiking shoes, I do wear out on average around three pairs of shoes a year. I had narrowed down my selection to two particular models of shoes and just as I was about to purchase three pairs to cater for the next few months and for my upcoming thru-hike I now have the issue of trying to find them as the manufacturers do a model upgrade; AAAGGGHH! I have the retailers/importers scrambling at the moment and hope to have my preferred shoes sorted in the new couple of weeks. 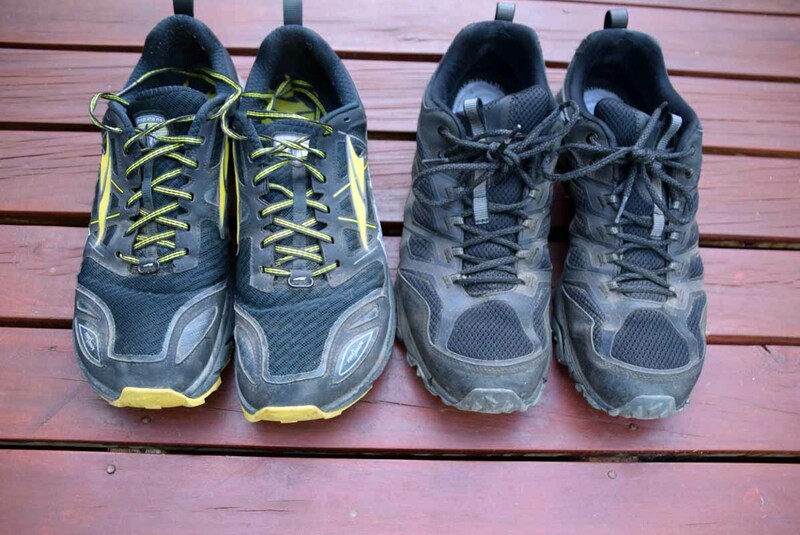 I know for shorter hikes I can get by with a number of different options, but as I am looking at averaging around 32km per day for around five weeks my footwear will be critical. Does anyone else with jumbo sized feet or pixie feet have the same issue?